Our goal is to provide the very best in veterinary care for your beloved pet! 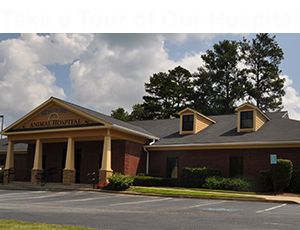 Montrose Animal Hospital and Pet Hotel is equipped with the knowledge and state-of-the-art equipment to diagnose and treat your pet. Our expert veterinarians and technical staff are able to provide your pet with a range of services covering routine checkups to treatment of long-term disease. Our goal is to keep your pet a healthy and happy member of your family for a long time! If you believe your pet is sick or “just doesn’t seem like himself”, give us a call. We evaluate each pet’s medical issue individually and thoroughly. Every member of our team is committed to helping you make the very best decisions for your pet’s health and wellness. We will monitor your pet closely if he or she is diagnosed with a chronic condition such as diabetes, kidney disease, liver disease or thyroid disease. These diseases can be treated with the most current medical or surgical protocols. When we monitor your pet’s chronic condition, we can recommend potential diets, changes in medications and treatments, and a monitoring schedule. We may also refer your pet to the appropriate specialty service if his or her condition changes or your pet is not responding satisfactorily to the treatments.